Some new clients have expressed concern about how much their divorce or family law matter is going to cost. In a prior post, I noted that divorce mediation is much less expensive than litigation and often has better results. However, there are still many instances where a client has no choice but litigation. 1) Make copies of paperwork for your attorney associated with the parties’ home, vehicles, businesses, brokerage accounts, retirement accounts, all insurance policies (car, health, disability, etc. ), bank accounts, credit card account statements, mortgage and equity line statements, statements pertaining to all other debt, make a list of collectibles (take pictures if possible), and make a list of all home furnishings. 2) Put the above items into a binder or binders and tab each item. 3) Work with the paralegal or legal assistant as much as possible because they usually bill at a much lower rate than the attorney. 4) When delivering paperwork to your attorney make all the necessary copies yourself. 5) Be open to settlement upon reasonable terms and see if your attorney can get the case settled with the other attorney or party or have the case referred to a settlement judge or a good mediator. 6) Get an attorney who bills in six minute increments, rather than fifteen. 7) Have your attorney set your case for trial as soon as possible (time is money). 8) Settle all issues possible prior to trial to minimize the number of issues for the judge to resolve. 9) Do not use the divorce for revenge purposes as this usually does not work and it often can dramatically increase the cost of the litigation. 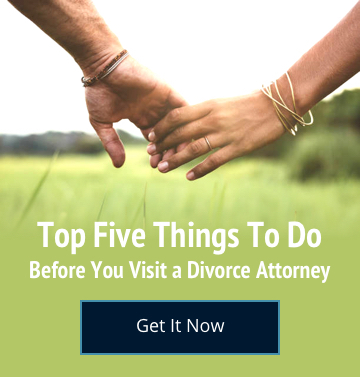 10) Do not do anything that is likely to cause problems in your divorce case and if you are not sure ask your attorney first before doing it. Please give us a call to schedule an appointment today!